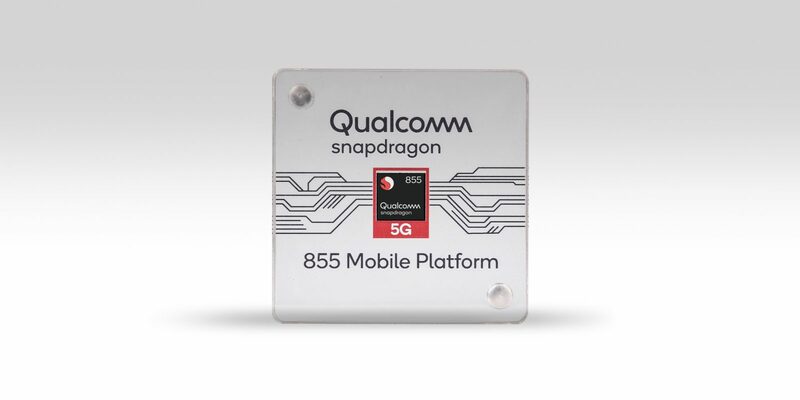 With the exception of the Lenovo Z5 Pro GT, other Snapdragon 855-fueled smartphones haven’t been released yet, but thankfully, you can still experience a taste of how Qualcomm’s flagship SoC will. This is thanks to a host of tests conducted recently on a reference device. Of course, there are likely to be a few differences between commercial products and reference devices, but these still provide a good idea of what we could expect from Qualcomm’s 7nm FinFET silicon. Final products are usually highly optimized and but reference devices are still a good way of analyzing a chipset’s performance before smartphones fueled by it are made commercially available. 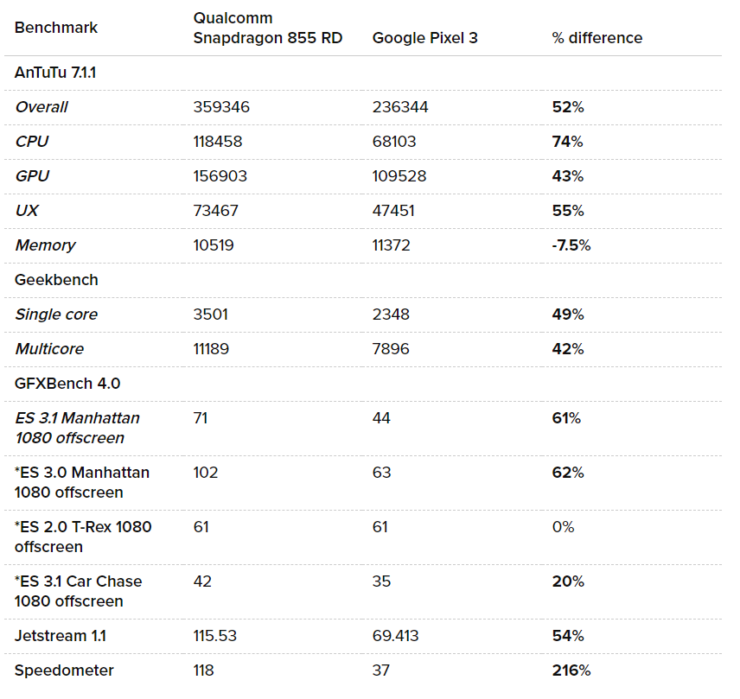 Folks over at Android Central recently ran a couple of tests, and it sure does seem that Qualcomm can give other SoC makers a run for their money. The publication didn’t run AI specific tests as Qualcomm says they have not been optimized for the Hexagon DSP. That being said let’s dive right into the numbers. 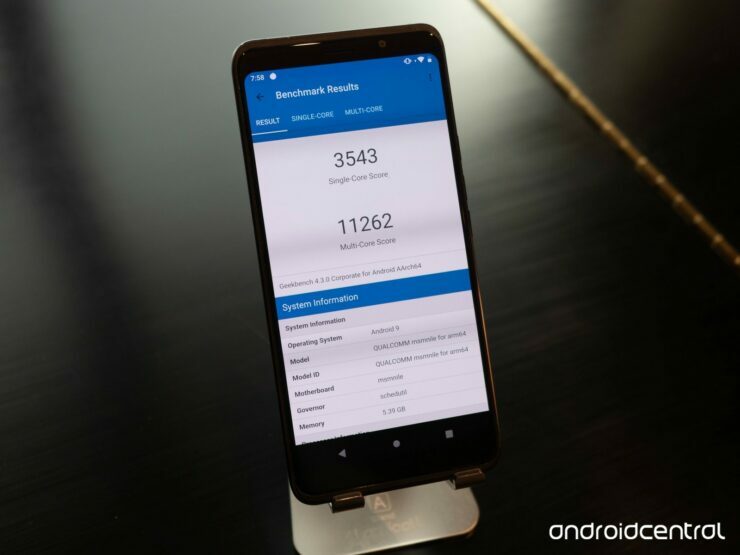 The Snapdragon 855-powered reference device scored 359346 on AnTuTu, which represents a whopping 52 percent increase when compared to the Snapdragon 845-fueled Google Pixel 3. Geekbench benchmarks also indicate that the new chipset offers nearly double the performance of its predecessor. 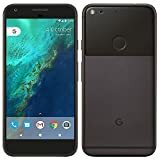 The device scored 118 on the Speedometer test, which is a whopping 216 percent more than what the Pixel 3 got. On an average, the reference device performed between 20 percent and 75 percent better on most benchmarks. 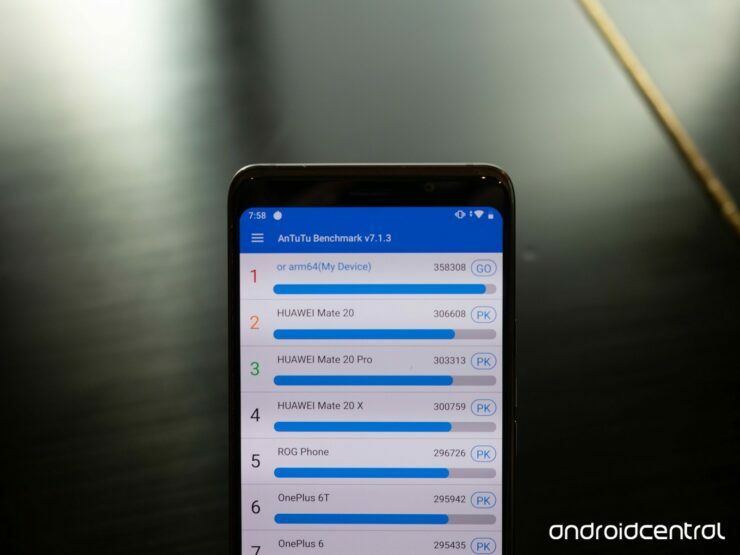 A 50 percent increase is commendable and most of the performance spike can be attributed to the new Prime Core Kryo 485 layout and ARM’s Cortex-A76 architecture. Despite the jump in performance, Qualcomm says that new SoC is more efficient than the Snapdragon 845 chipset, thanks to the 7nm manufacturing process. Qualcomm also says that the benchmarks are not accurately representative of the potential of the new chipset, as it is optimized for machine learning tasks and AI, something which OEMs haven’t incorporated into their applications yet. This will enable the Snapdragon 855 to potentially be three to four times snappier than its predecessor in terms of performance. 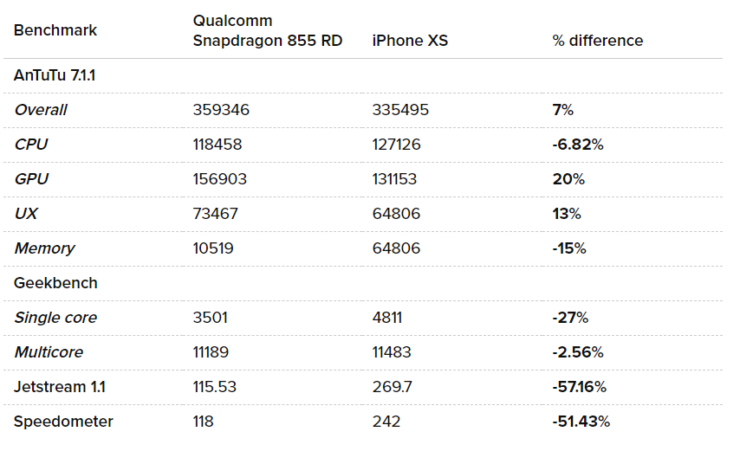 It also seems that Qualcomm’s new chip will easily beat Huawei’s Kirin 980 SoC. However, Apple’s A12 Bionic still has a considerable lead over Qualcomm, although it appears that the latter is slowly catching up. 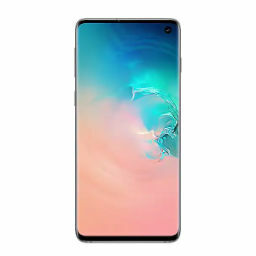 We will be able to find out more about the true potential of the chipset when the Samsung Galaxy S10 is unveiled next month. If you want to learn more about benchmarks, you can find out in the links below.